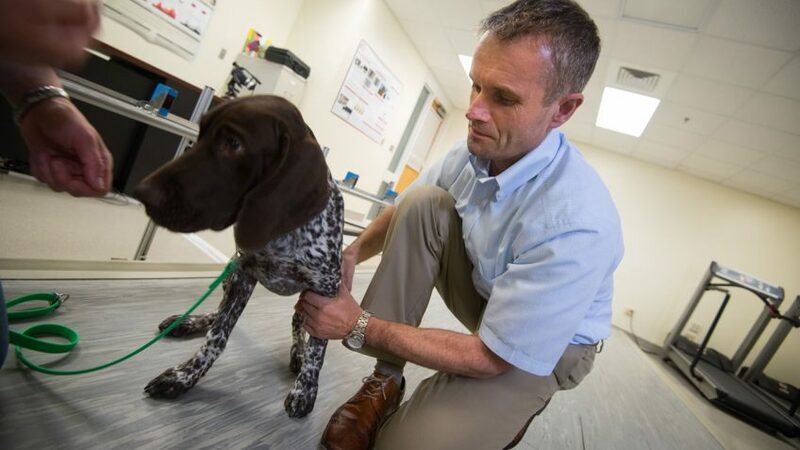 Duncan Lascelles is one of just a few researchers worldwide focused entirely on measuring and treating pain in companion animals and its application to human medicine. 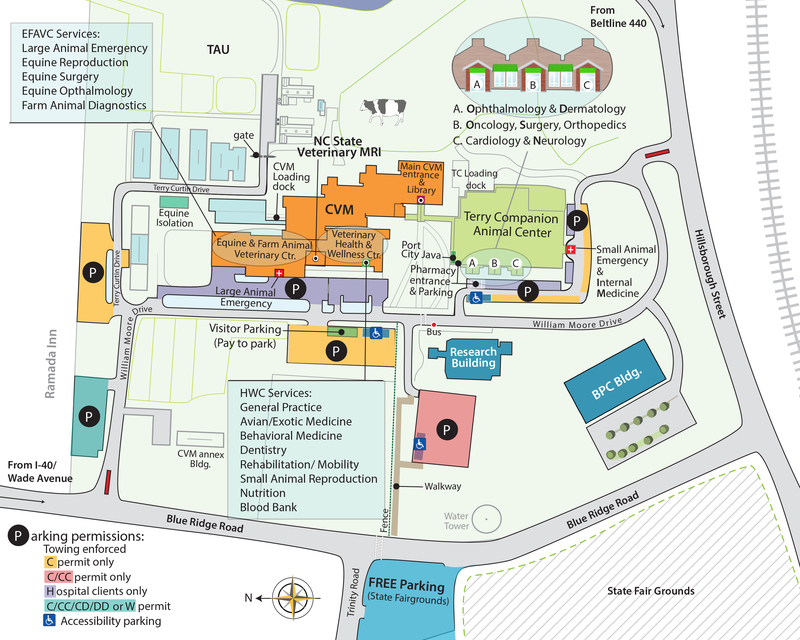 Studying dogs and cats with osteoarthritis can have significant impact on the development of effective pain therapies for humans suffering from the same painful condition, according to a new research from the NC State College of Veterinary Medicine. In the study, lead author Duncan Lascelles, CVM professor of small animal surgery and pain management, outlines an comprehensive argument for the translational power of utilizing companion animals with naturally occurring diseases as models of human conditions. The review was published in this month’s Osteoarthritis and Cartilage journal, a top-ranked orthopedic research journal. “With the lack of translation of fundamental research findings into new therapies for pain, and the significant personal, economic and social implications of that, we need new ideas,” said Lascelles. “The novel approach we have outlined has high potential to benefit human pain research, and at the same time, benefit companion animals”. The study notes that naturally occurring canine and feline osteoarthritis is strikingly similar to human osteoarthritis, including its appearance in radiographs and how it leads to impaired mobility and sleep disturbances. Generally, Lascelles notes, companion animal disease models better reflect the complex genetic, environmental and physiological influences in human diseases, as opposed to the traditional rodent models. The study finds that research centered on companion animals with naturally occurring conditions can help researchers unlock more clues about the neurobiology of pain — “vital information in the translational puzzle,” Lascelles writes — and act as more effective bridges to human clinical trials, the first step in creating new breakthroughs in medical treatment. Lascelles, a world leader in the study of small animal pain management, is the director of the CVM’s Comparative Pain Research Program. Lascelles is one of just a few researchers worldwide focused entirely on measuring and treating pain in companion animals and its application to human medicine. Read Lascelles’ full study, “Spontaneous painful disease in companion animals can facilitate the development of chronic pain therapies for humans,” here. The study’s co-authors are Dorothy Brown of Elanco Animal Health, another leading contributor to our understanding of measurement and management of pain in dogs, and William Maixner of Duke University and Jeffrey Mogil of McGill University, both considered global leaders in human pain research. The study’s authors all contributed to and produced a short video highlighting the potential of comparative pain research incorporating companion animals.